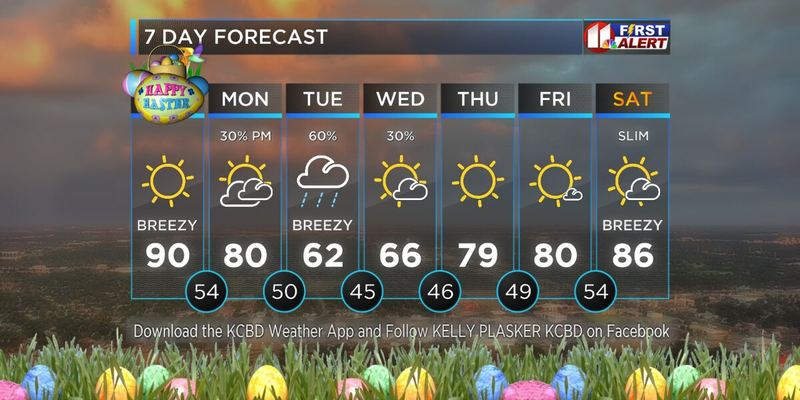 LUBBOCK, TX (KCBD) - Warm temperatures remain likely across West Texas through Tuesday. A few showers and thunderstorms are possible Wednesday and Wednesday night as a cold front and powerful low pressure system tracks across the area. 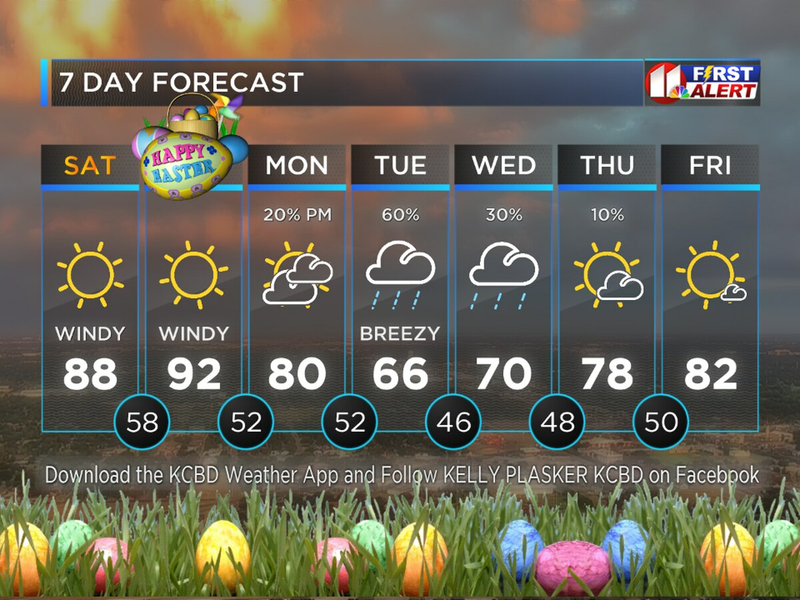 More than anything, we could experience strong wind gusts Wednesday, but there is a risk for severe weather to the east of the Lubbock viewing area. Pay close attention to weather conditions Wednesday and Wednesday night in case storms form unexpectedly. High clouds will move across the area tonight with low temperatures in the lower to middle 50’s. It will be much warmer overnight tonight. Southerly winds average 10 to 20 mph. Tuesday becomes partly sunny, windy and warm with highs in the middle 80’s. Southerly winds increase to 20 to 30 mph during the afternoon hours. Fire hazards exist Tuesday afternoon, especially for areas north and west of Lubbock. A few showers and thunderstorms are possible Wednesday with our next cold front. 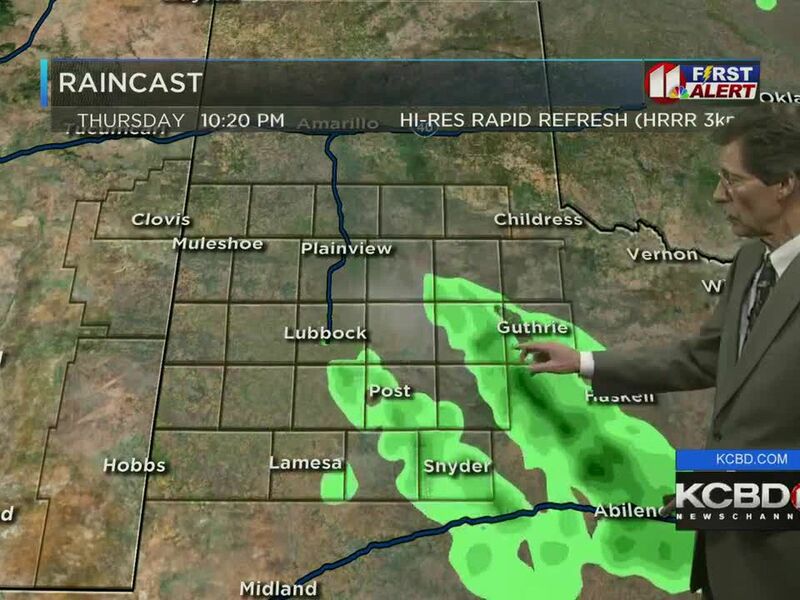 A dryline may also trigger storm activity, especially east of Lubbock. If storms develop, they could become severe with highs in the 70’s. It will turn windy and colder Wednesday night with a chance of showers and thunderstorms. Lows drop into the 40’s with gusty north winds behind the front. Rain chances quickly shift to the east Thursday with much cooler highs in the 60’s and lower 70’s.